Universal Wide Tolerance Couplings and Adaptors - CASCADE PLC - The new home of Cascade Clamps UK Ltd, Suppliers and Manufacturers of pipe fittings to the water & gas industry. 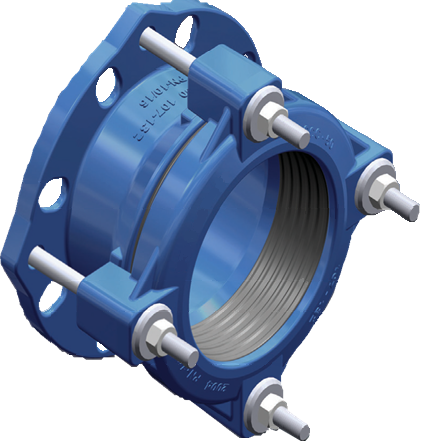 Cascade Wide Tolerance Range has a 40% wider range than most other couplings and flange adaptors in the market, allowing them to cover more than one pipes outside diameter. 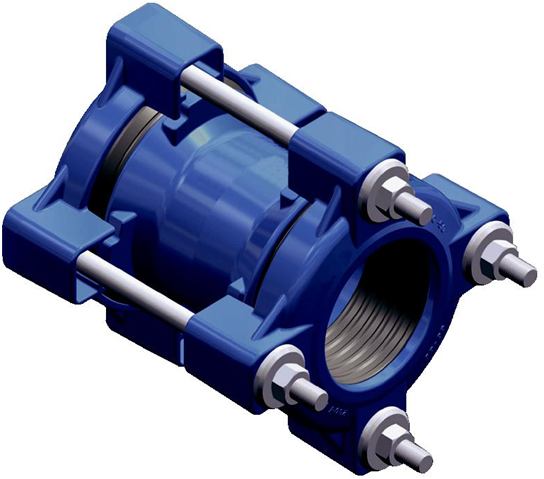 often replacing the need for a stepped coupling or adaptor, this cuts down cost and lengthy production times. We carry large stocks of the Wide Tolerance range meaning that no matter how big or small the pipe is we will have a fitting for the job, production can be achieved in a relatively small 5-7 days meaning even special sizes can be turned around in a short time. This range starts at sizes from DN50 to DN2000 PN16 and have a PWP of 16 bar. Constructed of quality materials and available with Stainless Steel bolts, washers and nuts or Galvanised as standard, coated in WRAS approved epoxy, with WRAS approved gasket. Please see below downloadable data sheets below for more information.